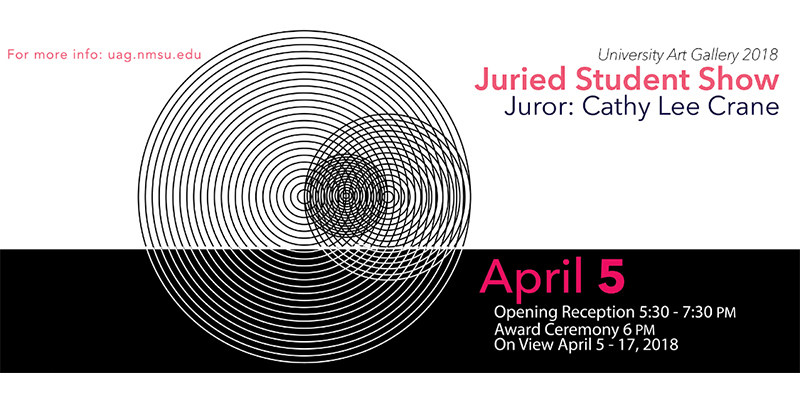 Juried Student Show Opens Tonight! This entry was posted in Awards, NMSU Art Students, NMSU Department of Art, University Art Gallery and tagged #21stcenturyartdept, #contemporaryart, #interdisciplinary, #juriedstudentshow, #jurorcathyleecrane, #nmsuart, #nmsuartdepart, #nmsuartstudents. Bookmark the permalink. Follow any comments here with the RSS feed for this post. Both comments and trackbacks are currently closed.